Working in construction, a tradie, plumbing, labouring, electricity or everything else? You’re in luck! These roles are always in demand in London and you will see that this is a massive list as we are always asked to find people for your role. We have just added a new page if you are a Gardener or Landscaper, head HERE for these roles! They’ll help you get your tax numbers sorted (NI and UTR) and help you get tools for the job! You’d be joining a great crew, working hard and playing hard. Not short term work, you’ll be set up for your entire time in London! London Projects Ltd is a leading high-end residential refurbishment company in Central London specialising in the creation of bespoke homes and developments. London Projects Ltd have approximately 20 projects running at any one time in prime postcodes such as Belgravia, Holland Park, Knightsbridge and Mayfair with contract values of £300,000 to £9,000,000. London Projects’ in-house specialist team of Construction Managers, Project Managers, Quantity Surveyors, Site Managers and skilled trades work closely with renowned designers, developers and high profile Clients to achieve high-end homes. As well as new build homes and traditional refurbishments, London Projects Ltd have extensive experience working within Listed buildings. We work primarily on the key London estates including The Crown Estate, Grosvenor, Cadogan and De Walden. Amida Recruitment – Fresh to the UK? Wanting an exciting opportunity in the Construction industry? Amida are specialists in the Construction sector and can offer you roles (with or without experience) in Admin, Contracts Administration, Quantity Surveying / Commercial management, Project management, Project Planning, Engineering and more. Artic Building Service – AC Engineers, Refrigeration Engineers and Air Conditioning Technicians Artic Building Services are always looking to add value members to our team. We have a few sites through-out Central London or join our mobile team. We look after the famous UCL campus in Euston if you’re looking to join a static site. We can put you through the F-gas training as well in-house. Contact: Zared Cockburn by email zared.cockburn@articbuildingservices.com or call us on 0845 308 2300. Are you a Kiwi moving to London? In the Construction Industry? Looking for direct employment, continuous work AND flexibility to travel to see the beautiful sights of Europe? Base Build Services are a West London based Main Contractor who manage Refurbishment and New Build schemes in the Retail, Commercial and Residential Sector across the UK. Our main clients have predominately been large Supermarket Retailers, with more recently securing key contracts with a number of New Build Commercial Banks and Car Showrooms. Fit Out UK are Base Build’s sister company based at the same West London premises, we specialise in Commercial and Retail Fitting Out & Joinery. We handle all Joinery in house with our large workshop and warehousing facility, as well as our in house design team and large team of skilled labourers for our nationwide contracts. We are also an accredited CITB Training and Testing Centre, meaning CSCS / Health & Safety Testing to get you out working on any site across the is very simple, and we can help with converting any NZ Qualifications to be recognised over here. 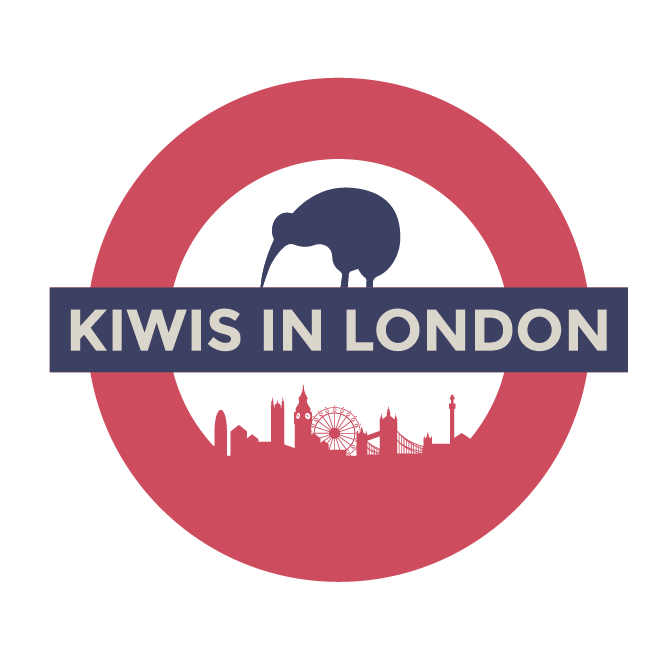 Both companies historically have a great working relationship with Kiwis coming out to the UK to work and travel, our Directors and Managers appreciate and enjoy the hard working ‘can do’ Kiwi attitude. Currently we have a mix of Kiwi, Aussie, South African and British employees across both companies, making the atmosphere welcoming, friendly and enjoyable, not to mention the banter that flows… Especially at RWC times! We are currently on the lookout for Site Managers, Quantity Surveyors, Project Managers, Contracts Managers, Carpenters, Shop fitters/Joinery Specialists, Labourers etc. If you want to get on the books straight away and start earning that Great British Pound. Please contact us on recruitment@basebuildservices.com and recruitment@fitoutuk.com with your CV or give us a call on 0208 963 6910. BasementWorks, part of OLBC Group www.olbc.co.uk is expanding. Battersea Property Maintenance Ltd – We cover Battersea, Wandsworth and Chelsea providing ad hoc maintenance support and full refurbishments. We are often looking for: Plumbers, electricians, carpenters, decorators and handymen, for contract work and full time roles. We currently have one Kiwi in the office and have also had one doing contract work for us during refurbishments as a labourer, and we’re keen to have more! BUILT Group is an established recruiting business focused on providing services within the construction and Design and Build industries. BUILT is made up of three companies called BUILT Recruitment, BUILT FM Projects and BUILT Cleaning. We at BUILT are always looking for Carpenters, Cleaners, Estimators, Handymen, Labourers, Managers, Quantity Surveyor’s, Security Guards, Supervisors and several other trades. We are in day-to-day contact with our valuable clients and jobs can span from one week to several months. For further information please contact and send through your CV to our Digital Media and Resources Manager, Nick. We’re specialists in sourcing job positions for skilled manual workers. We have a broad range of vacancies across London for builders, electricians, plumbers, bricklayers, tilers, painters and general labourer’s. We have plenty of work going so get in touch today! We tend to take on short term labour on a subcontractor basis, however candidates that show potential maybe taken on as direct employees if roles come available. We provide our clients with a range of options, having many years experience in both traditional plumbing and heating services as well as installing the very latest renewable energy technology. I’m looking for experienced plumbing and heating installers to work on domestic house refurbs including, basements, bathrooms, UFH, plant rooms, Kitchens and general plumbing. Installers need to be CIS registered and have their own tools. Designer Electrical LTD – We are a Small/Medium Electrical contracting company looking for fully qualified, reliable and hardworking electricians with working visas within Greater London and South East England. We can accommodate for both short and long term employment. You will be working directly for us – no agencies or middle man. Dunedin Construction is a High End London new build and Refurbishment Company. Come and join a great group of guys in a team that’s moving forward! We are currently seeking Qualified Carpenters and Skilled Labourers. Paying good rates with potential scope to progress within and move into Site Management/Project Management. Element Construction and Element Fix (property maintenance), are Kiwi owned and based in Fulham, London. We are currently seeking builders and electricians. Our websites are www.elementconstruction.co.uk and www.element fix.co.uk . Fairfield Plumbing and Heating Ltd We are always looking for Kiwi plumbers. All sites are in Central London. Granite Search AWESOME CONTRACT ADMINISTRATORS/ QUANTITY SURVEYORS, ESTIMATORS, PROJECT MANAGERS, SITE MANAGERS – We need you! Permanent & contract positions in both London and the Home Counties. Higginsongrey are looking for highly skilled, experienced Carpenters and Working Foreman ASAP. We offer great pay rates, long term work, flexibility with holidays/hours of work and assistance with bank accounts. Most of ALL.. We like to have a good laugh, a beer after work and aim to have a relaxed working atmosphere. Lethbridge Lines Ltd are looking for more carpenters/joiners/fitters to join the team, either based at our workshop in Wandsworth or out on site in various locations around London. Light Motif Ltd – We are looking for casual warehouse staff, on site lifters + shifters and van drivers. Linear Recruitment – We recruit across six specialist sectors. We are a London based recruitment company with strong Kiwi roots recruiting for Construction rail and nuclear. On Tap Plumbers Ltd – Our email is anne@ontapplumbers.com. We are always looking for plumbers! Parker Developments is a construction company based in Wimbledon, looking for carpenters to start immediately. CSCS card NI & UTR number is essential. We’d love to hear from Kiwis, both back home and looking to come over, or those already in London, looking for Construction related work, whether Admin, Document Control, Engineers, Construction / Project Managers, QSs etc, or Trades & Labour. Richmond Electrical. We work all over West London, refurbs and maintenance mostly. We have had a few boys in the past on their OE so we are flexible with taking time to see Europe etc. E-mail peter@richmondelectrical.co.uk and phone no. 07730309820. Vitrocsa UK – Vitrocsa is the original minimal window and door system, the first minimal aluminium window company starting 25 years ago. Vitrocsa is 100% Swiss made and our projects go from high end residential to new design commercial. We work with the most famous architectural practices and well known in the industry construction companies. Vitrocsa UK is looking for experienced glazing installers that have been working with glass and preferably with a minimal glazing system. If you are interested in working with us in unique and amazing projects in all around London as well as outside of the city such as Ireland, Scotland and many more, then we want to hear from you! * Have good communication skills and be able to work alone on your own initiative or as part of a team.